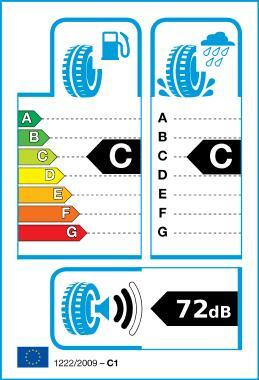 The high performance tyre for medium to high-powered cars. A perfect combination of low rolling resistance, plastic and acoustic comfort, good mileage guaranteeing the Pirelli braking and handling performances. Expression of the Pirelli "Green Performance" philosophy: a perfect synergy in terms of performance, safety, driving pleasure and attention to the environment. Cinturato P7™ is the right choice for drivers looking for a high performance and eco-compatible tyre for medium to highpowered cars. Also available in RUN FLAT version. Innovative and advanced hybrid material Balanced pressure distribution. Even wear: Optimised tread design with specific pitch sequence Reduction of rolling noise. Relaxed and comfortable driving experience. Compact central blocks and robust external area. Reduces tyre distortion during fast cornering Steering response and cornering control. Four wide longitudinal grooves. Excellent water expulsion. Outstanding safety and control in potential aquaplaning situations.